time for another Miniatures Unpacked. 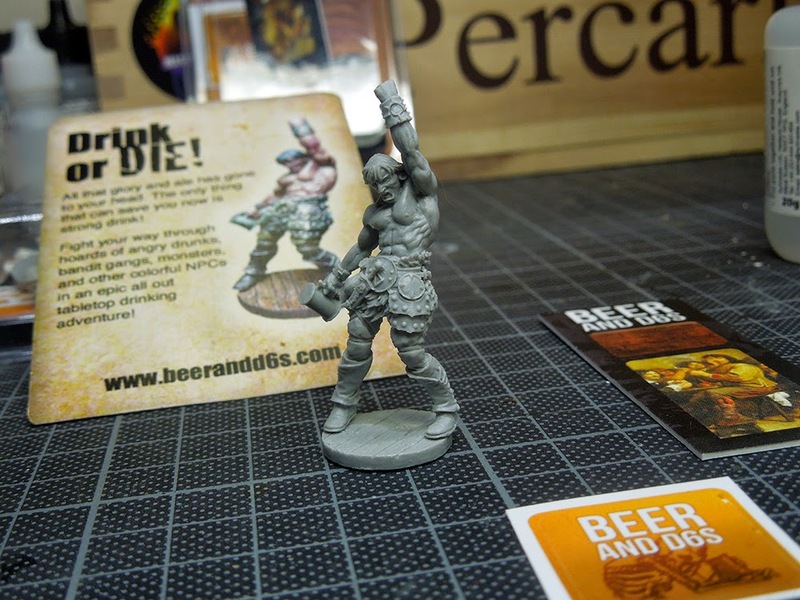 Massive Voodoo takes a look on miniature products around the globe and this time we jump over to Imbrian Arts, run by kind guy and talented sculptor Jody Siegel. 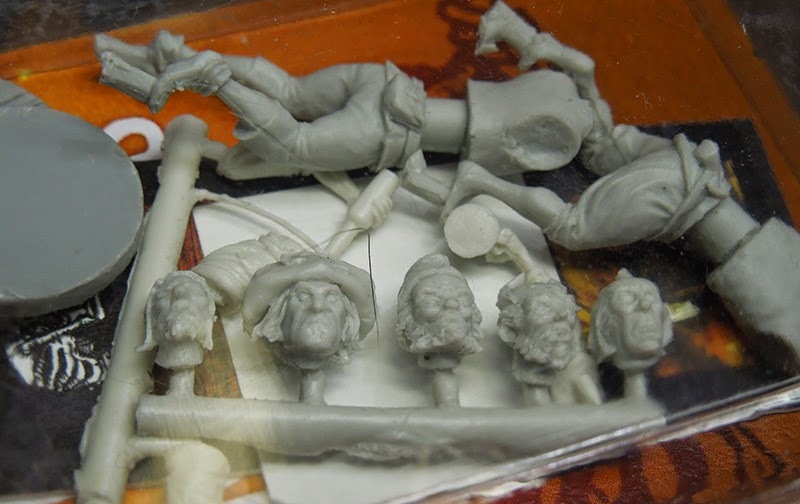 Roman will have a look on some of Imbrian Arts' new sculpts, but don't you expect them to be usual. They are different with a reason. They are utterly drunk. 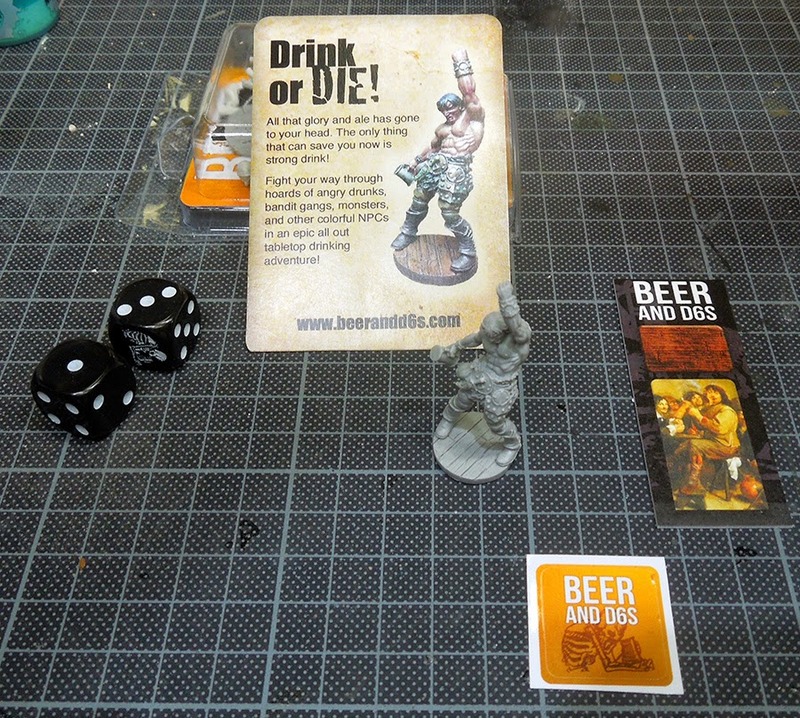 There is even a game coming with these figures, which is called Beer and D6s and you can download the beta rules for free at Imbrian Arts. 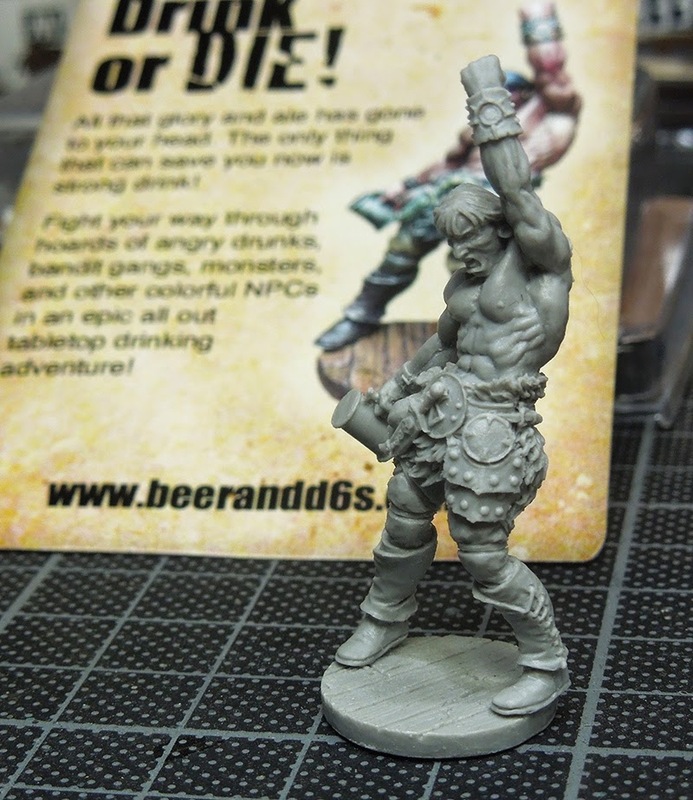 "Beer and D6s is a rules set which allows players to control a courageous crew of alcoholic heroes and drunks in an all out tavern brawl where your only means of survival is to drink until the hurting stops! 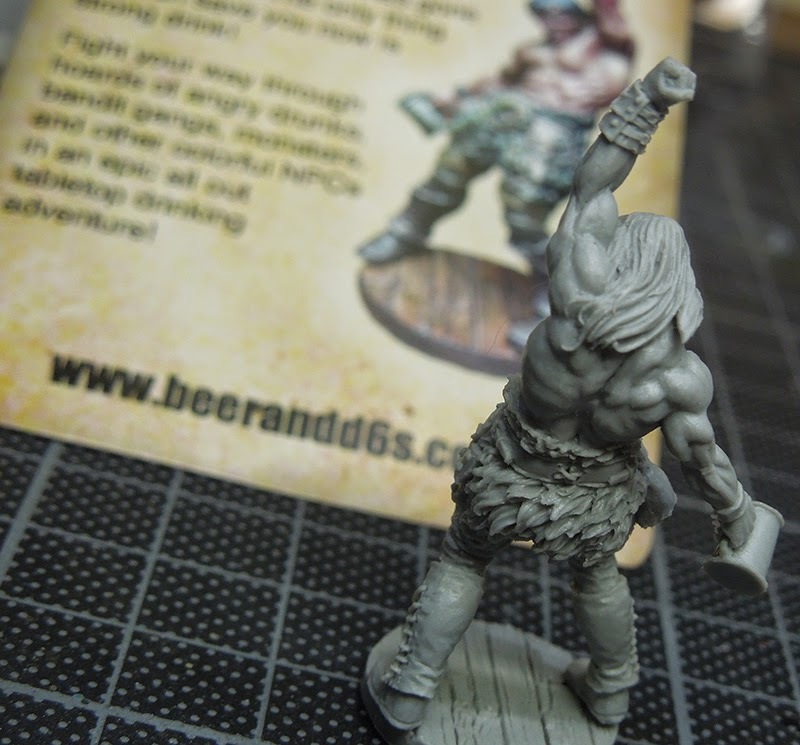 Brawl with your mates using only a handful of models or fill your tavern with hordes of angry villagers and monsters, then create a party and drink your way to victory!" I think this is something new, totally ridicilous and looks like a lot of fun but unfortanetly I did not find the time to a) play the game and b) get utterly drunk while doing so with my friends. Not yet. Instead I was taking a look on the figures. Let's have a look on how they arrive. 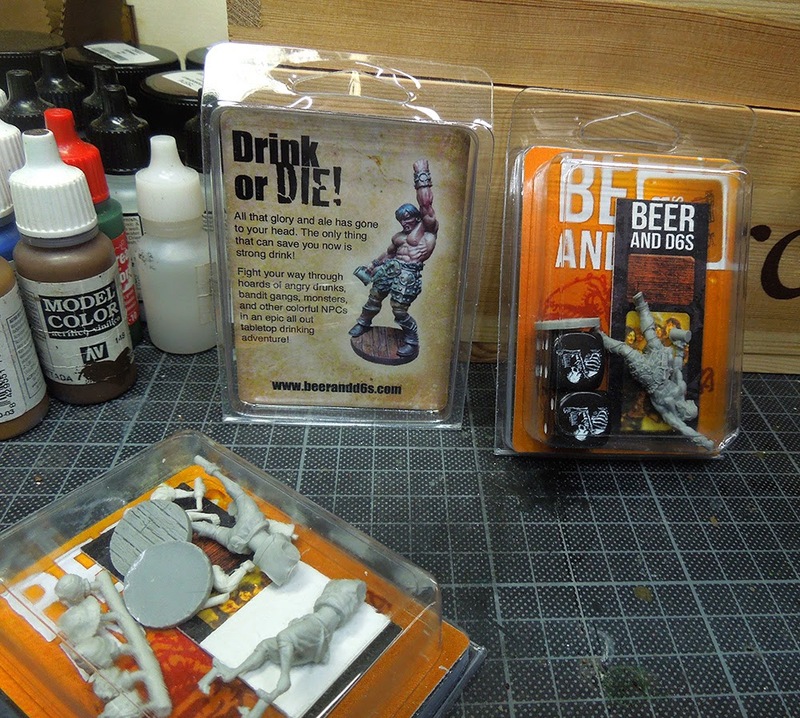 On the first sight I enjoy the high quality packing and all that stuff that is delivered with the miniatures. Second, it is nice to see painted versions of the models. Let's open up that utterly drunk barbarian dude now. A lot of stuff in this blister. 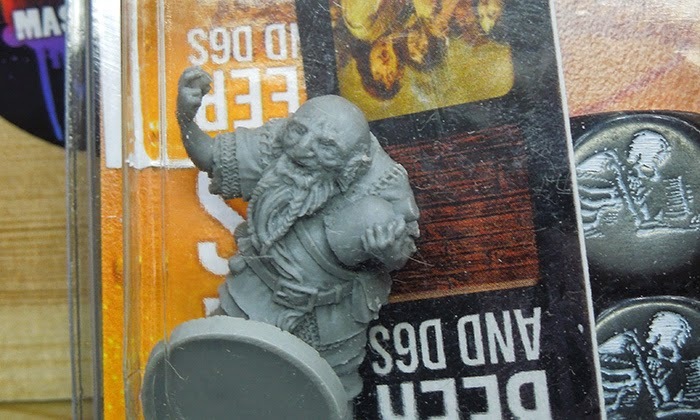 Let's have a look on the quality of the 32 mm model. The camera moves down to the utterly drunk barbarian. The sculpt is truely a funny one as this guy celebrates drinking and alcohol like a madman. 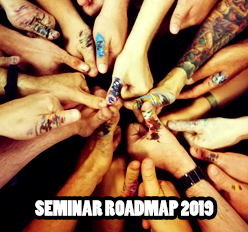 Yelling and roaring about the next tattoos he wants on his skin and screaming for more beer to find the courage to do put them on his skin by his own. Utterly drunk? Yes. The sculpt implicates this state of body and soul pretty much. The sculpting work is - lets say - really beautiful and full of character. Cool Details here and there, great muscles on that guy and a truely handsome character, but utterly drunk still. The figure is cast in resin which makes a really good first impression and it is one piece. I only glued the tavern floor base to it. If you look at the casting quality there are not much issues. I found one mould line that might need some time spent on. On his right inner forearm, some smaller ones here and there, but nothing a little care with sandpaper could not handle. All is utterly drunk in that tavern, even the rats, but one thing that has to be mentioned here: Alcohol is not just pure party. Don't play the game several times a day just to get uttlery drunk yourself. It's about fun and there is nothing wrong with a beer, but don't you party too hard like that barbarian dude. Don't drink and drive, don't wield your double bladed axe in a room full of friends, don't do stupid things when utterly drunk. Take care, that is all I want to say - now have fun with such cool miniatures and a really new concept behind miniature gaming. Beer and D6S - where bar brawls are the most fun! that remembers me to an old "game" released via white dwarf magazin. "da ork brewhouse bash" a game where you play drunk orks. so this game and of course the miniatures should be lots of fun. This game looks fantastic. Great minis. Aaaaand, it sounds just goofy enough to possibly be the kind of party game that could hook non-gamers on mini-gaming!